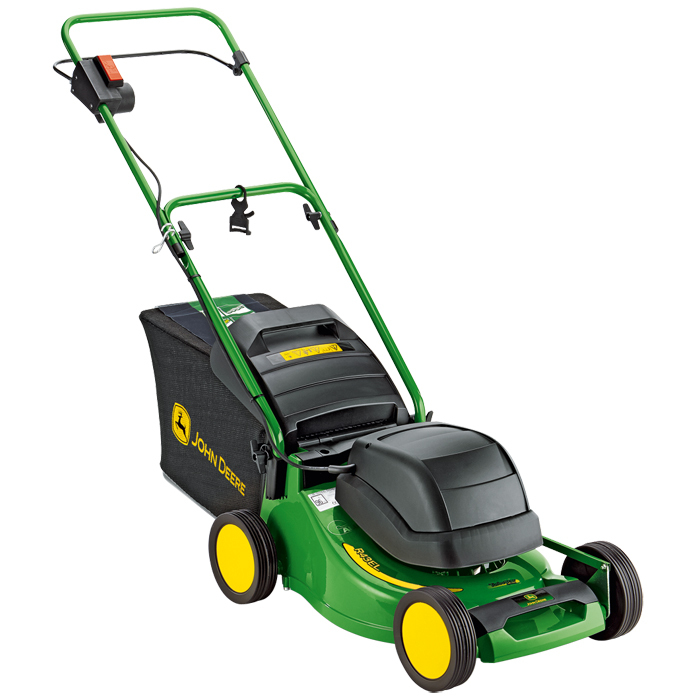 The John Deere R43 EL walk behind mower is a medium sized electric mower suitable for lawns up to about the size of a tennis court. 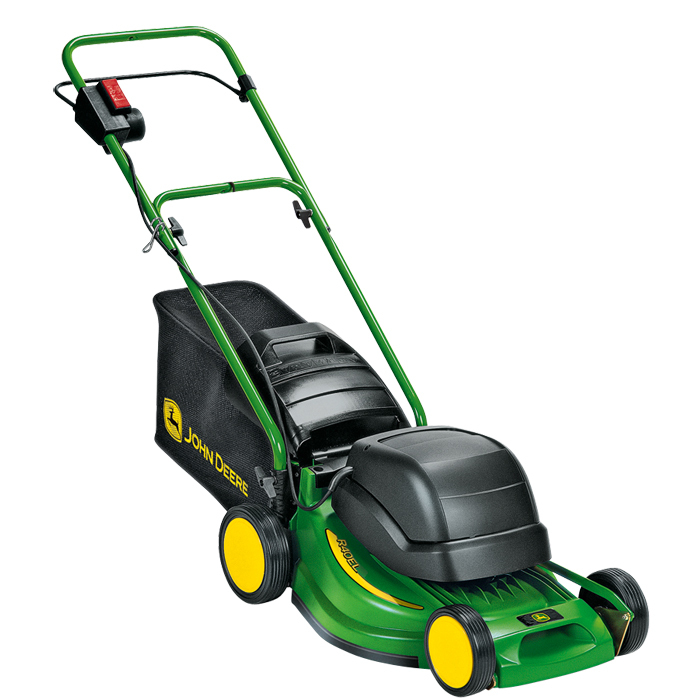 Complete with the legendary durability that you expect from John Deere, you can depend on the lightweight yet trouble free polypropylene mower deck. The R43EL is also fitted with the exclusive TurboStar Grass Collection System which provides an outstanding cut with unparalleled suction for dense packing of long grass and damp leaves. Plus, when the bag is full, the collector signal indicates that it should be emptied. Grass Bag - A lightweight textile grass bag has a large capacity for less emptying and a unique bag fill indicator. 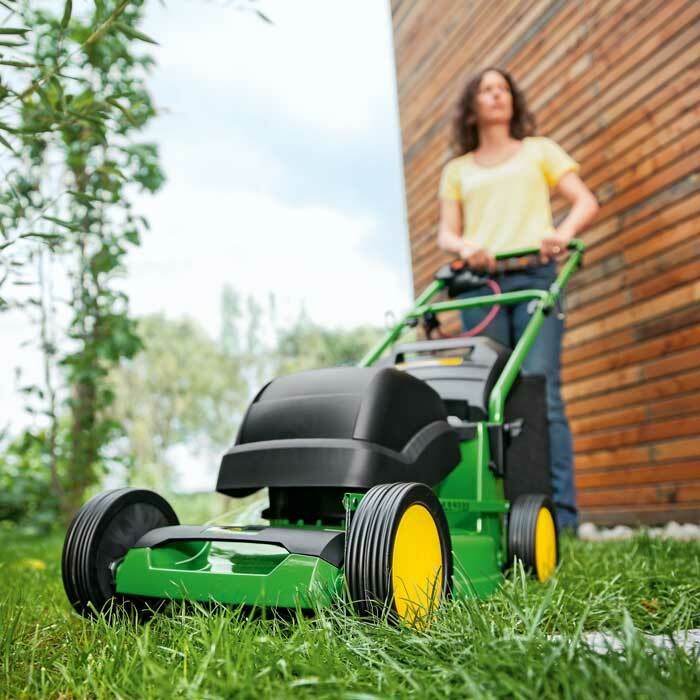 Electric Power - No need to worry about refilling with fuel, an electric powered lawnmower means you can simply plug in the cable and begin.